Like a masterpiece in a museum of modern art, this minimalistic design has maximum impact, inviting you to look and ponder the shapes and colors just a little longer. 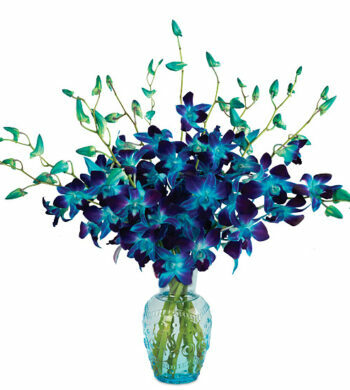 Thoughtfully designed to show off the flowers’ every dimension, it’s the perfect piece to send art connoisseurs, artists, and true flower lovers. 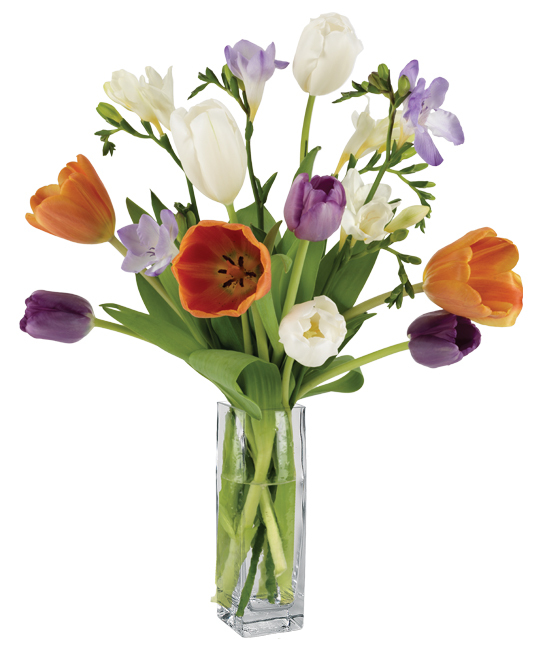 Mix of Dutch tulips (orange purple and white) and freesia (purple and white) is displayed in our clear signature glass vase. Trim ½” from the bottom of each stem. Remove foliage that will fall below the water line. 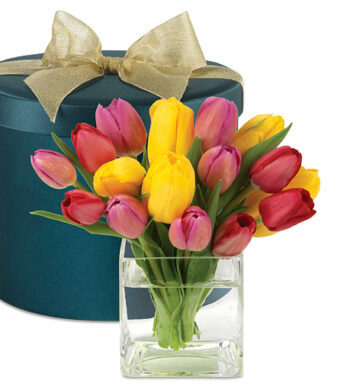 Fill your container or vase with water and add flower food as directed. 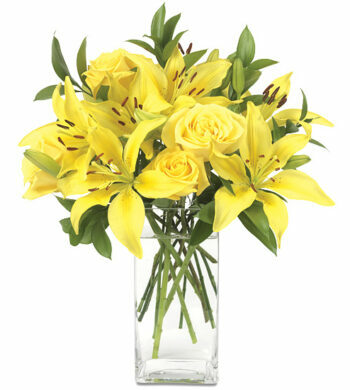 Arrange bouquet and display away from direct sunlight and keep out of hot or cold drafts. 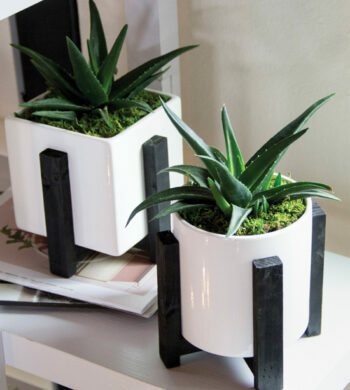 Add fresh water daily and recut stems every 2 to 3 days.